Peel cops are being cleared after an armed man took his own life near Meadowvale, the province’s Special Investigations Unit has ruled. “It is apparent on this record that the police conducted themselves professionally throughout the events in question and did what they could to protect the man and his family,” said SIU acting director Joseph Martino. 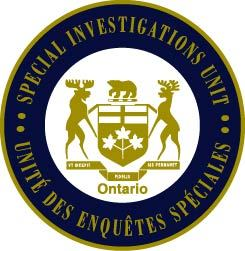 The SIU isn’t charging officers in a call involving a barricaded man with knives. The man had threatened two family members on Oct. 27, 2015, at a home on Glen Erin Dr. south of Britannia Rd., before they fled. Patrol officers, along with the tactical unit, responded to the call. Police planned to contain the scene and eventually arrest the man but officers learned the man was suicidal, prompting a change of plans, according to the SIU. Tactical officers entered the house, finding the man in the basement using a ‘scout recon’ robot. Officers and paramedics attempted to revive the man, who was later pronounced dead. Police “proved themselves flexible – adapting their plans quickly to changing circumstances, and resourceful” in their rescue operation, said Martino.